Safety Harbor, Florida (May 11, 2017) – As the temperatures rise, so do concerns about ticks. Lyme Disease has tripled in the United States over the last 20 years, cementing tick borne diseases as a high concern for outdoor enthusiasts and travelers. Lyme Disease and Rocky Mountain Spotted Fever, though treatable, have long been considered to be two of the largest concerns for tick related diseases but the Powassan Virus is even deadlier as it currently has no cure, vaccines, or treatment. The virus is named after the Powassan town in Ontario after it was identified as the cause of death of a young boy. According to the CDC, symptoms can include fever, headache, vomiting, weakness, confusion, loss of coordination, speech difficulties, and seizures. Transmission levels are lower than other tick borne diseases but the risks are considerably high. Although many people who become infected with Powassan (POW) do not develop any symptoms, approximately 10% of POW virus cases are fatal and approximately 50% of survivors have permanent neurological symptoms. 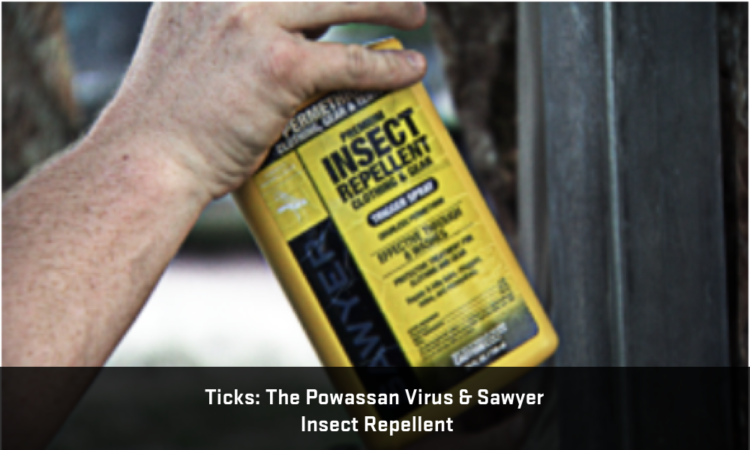 The first line of defense against the Powassan Virus and other insect borne diseases is prevention. 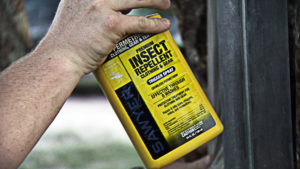 Sawyer Permethrin Insect Repellent Treatment for Clothing, Gear, and Tents repels and kills ticks, using an organic compound similar to the natural pyrethrins produced by the flowers of pyrethrums (like Chrysanthemum flowers). This fabric insect repellent is odorless after drying, lasts for 6 weeks or 6 washes, and can be used to treat clothing, footwear, workwear, bibs, work stations, seat covers, animal beds, hammocks, chairs, tents, and other fabrics. Ticks primarily crawl on to people and pets at ground height but can also be found at waist levels so the more treated fabric you have around you, the more protected from insects you will be. When used with treated clothing, a topical insect repellent can then be applied to exposed skin to complete the barrier of protection. 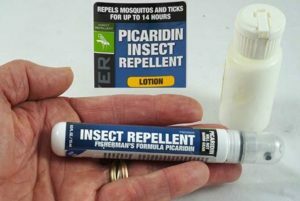 Sawyer 20% Picaridin Insect Repellent is a gear safe topical insect repellent that is safe for use on the entire family is effective against mosquitoes, ticks, and flies. This highly rated topical formula can last up to 14 hours is available in both lotion and spray versions ranging in size from 0.5 oz pen sprays to 1 Gallon lotion dispensing jugs. You can learn more how to use these formulas at sawyer.com/zika/ or for more information about applying Sawyer Permethrin on dogs, please visit sawyer.com/dogs/.